I had a cocktail similar to this one for the first time at one of our favorite bars in Deep Ellum called Armoury. After having it I knew I wanted to recreate it the best I could at home. Theirs has a few elements that I didn't add, but it didn't change it that much! With the egg white in this cocktail, it was easy for me to do a little research and figure out it is an extremely old drink called the Clover Club Cocktail. While an egg white sounds pretty odd to have in a drink, it doesn't give off flavor at all, it just simply gives you the foam at the top of the glass. 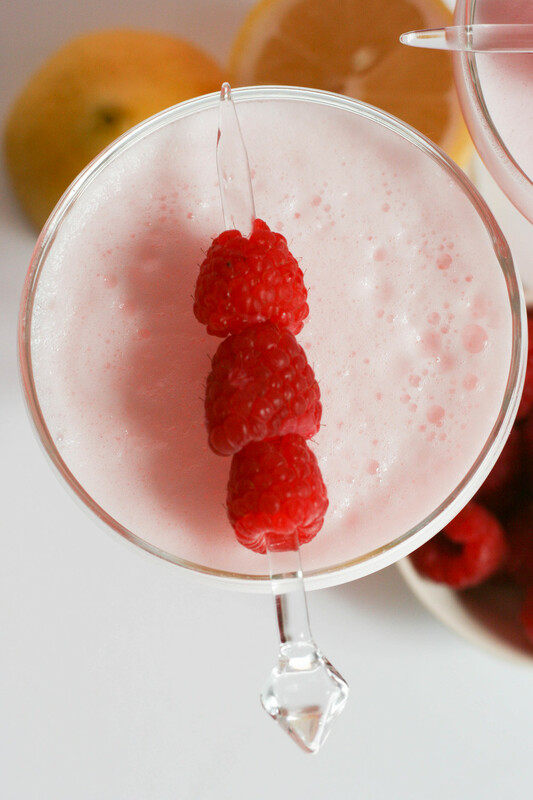 If your'e looking for a delicious way to incorporate some summer berries into a cocktail, the Clover Club Cocktail is the one for you! This is a drink that will surely impress anyone! 1. Pour all ingredients in a shaker. Add 2-3 cubes of ice. With the lid properly secured, rigorously shake the cocktail. Pour into your favorite cocktail glass, preferably a coupe champagne glass. Serve immediately. 1. In a small bowl, mash the carton of raspberries. Strain. 2. In a small sauce pan over medium low heat, add the strained raspberries, sugar and water. Bring to a boil. Simmer until mixture reduces and thickens. *NOTE: If you are using homemade syrup for the Clover Club Cocktail, let it cool completely before adding it to the drink.